Finding the perfect new opener for your door may seem like a daunting task, but we are here to help you narrow down the search. Our experts can offer you a variety of options, taking full consideration of the different aspects that determine what type of opener you're going to need. The right one will be an invaluable addition to your daily routine, while the wrong one will make things more inconvenient. That is a tough question as the type of opener that you get is dependent on your needs and on your budget. You may have higher security requirements than other homeowners, or you may want your opener to be as silent as a church mouse. Each type has different qualities that can make it either the perfect choice or one that's less than ideal. Chain-drive openers are very strong and relatively cheap, but they are also louder, and may not be great for people with a bedroom next to their garage. Belt-drive openers operate very quietly, but they tend to be more expensive too, which may not suit homeowners with a tighter budget. Last but not least, there are the screw-driver openers, which require very little maintenance, but aren't as silent as some folks would prefer. As the saying goes, nothing lasts forever. Even the toughest machines and mechanisms may need to be repaired or replaced at some time or another. The good news for you is that not only can we install a new opener for you, we can also help you when your current unit starts acting up. This means that you won’t have to worry about a thing. If it starts making strange whirring sounds, or if your door keeps reversing for no clear reason, you can count on our team to handle the situation. We'll make sure the motor gear hasn't worn out, and replace it if it has. We'll also check the photo-electric eyes and perform the necessary sensor realignment procedure to make sure the door is capable of closing without reversing. If you're having some trouble with your opener, or you want to consult with our experts as to which new model is going to be the best fit for you, don't hesitate to give us a call. Our company works with all of the major brands, including LiftMaster, Amarr, and Genie, and we will make sure you get a unit that offers the best bang for buck. 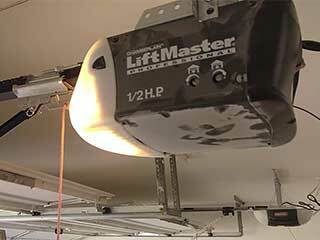 Contact our team at Garage Door Repair Pasadena today for more useful information.